Step on to the authentic films sets from the Harry Potter film series where the magical franchise came to life! Enjoy this full day tour with entry to the Warner Bros. Studio, travelling by air-conditioned touring bus. This tour includes collection from your cruise terminal and drop off at all London city centre hotels, selected London train stations, Heathrow airport hotels and terminals. This service is only available when the Disney Magic cruise ship is docking in Dover. You will be met as you exit the ship by International Friends staff, who will direct you to the coach. We will contact you in advance of your cruise to confirm your exact meeting time - this tour plans to leave by 10:00AM at the latest. The journey from the cruise terminal to the Warner Bros. studio is approximately 2 and half hours. We plan to stop en route in a service station with bathroom facilities, shops and restaurants. 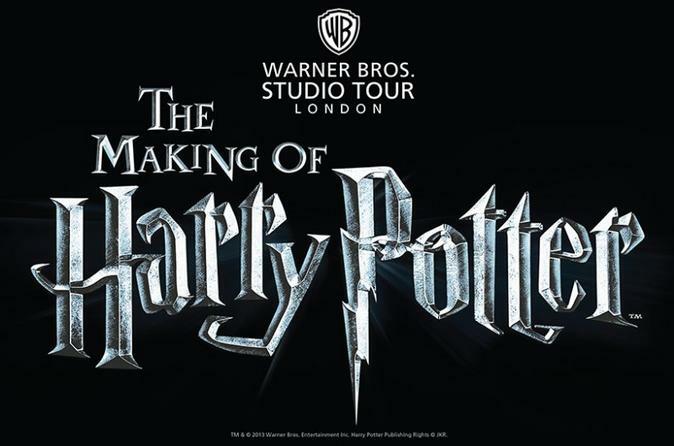 You will be driven in an air conditioned touring bus for a magical day out at Warner Bros Studio Tour, a truly unique attraction that that allows you to experience the magic that has gone into creating one of the most successful franchises of all time. Our scheduled arrival time at the Studio is 13:00-14:00, and we plan to spend 3 - 3.5 hours at the studio. You will also have the chance to explore some of the most iconic sets from the film series including Dumbledore’s office, the Ministry of Magic, Diagon Alley, 4 Privet Drive, and the Weasley kitchen, plus many, many more. Discover behind the scenes secrets and learn how intricate prosthetics and make up transformed human actors into the creatures we see throughout the films. Please be advised that separate vehicles are often used for drop offs in Heathrow & London to ensure our service is as efficient as possible. The tour aims to begin drop offs in Heathrow around 18:30 and Central London around 19:00 - 19:30. We can drop off at any London city centre accommodation, Heathrow airport terminals and the vast majority of Heathrow Airport hotels. We can also drop passengers off at Victoria Coach/train station, Kings Cross/St.Pancras station and Paddington station.